Starring Dylan McDermott (The Practice), Dark Blue debuted on July 15, 2009 on TNT. The show ran for just 20 episodes and two seasons before being cancelled. An action drama, Dark Blue revolves around an undercover team of the LAPD that’s so secret that many of the team’s own colleagues don’t know that they’re involved. The cast includes McDermott, Omari Hardwick, Logan Marshall-Green, Nicki Aycox, and Tricia Helfer. The second season of Dark Blue has been released on DVD and is available from Amazon . I also have a copy available for giveaway. To enter, you need to merely post one comment below. You can enter only once and the contest is only running one day. You can also follow us on Twitter and tweet @tvseriesfinale Hope I win #DarkBlue on DVD! http://ow.ly/drCFh just once. Guidelines: This giveaway is open to participants with a United States mailing address only. (International readers can enter if they have a friend in the States who can accept their prizes by mail.) Many may enter but one person will win. You must be 18 and older to enter and no purchase is necessary. The contest ends today, September 4th, and the winner will be announced tomorrow. NOTE: Typically the contests here run for several days or a week. I’ve got a backlog of DVDs to give away so I’m giving one away each day for the next week or so. Good luck! UPDATE: Congratulations to JaSon who won this DVD set. Stay tuned for more contests! More about: Dark Blue, Dark Blue: canceled or renewed? 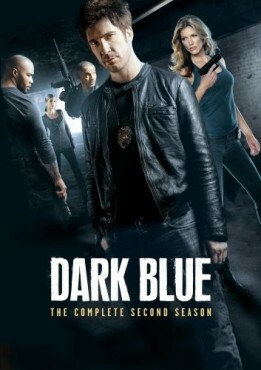 Great show dark blue was really good stories and I miss it. I really liked this show, too bad FX gave up on it. I really like Dylan McDermott and don’t think I ever saw the second season. This was the best show on TV! Show was great, and let’s just say, american horror story doesn’t even compare with this show. I loved this show!!! I wish they never canceled it! I really liked this show. It was truly awesome and I hated it when it was canceled. I really miss this show. I watched it every week and couldn’t wait until the next week when it came on. I hate it when they cancel the good ones.